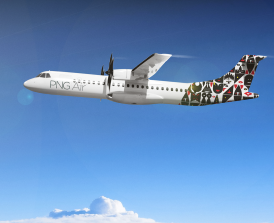 PNG Air will be keeping its customers entertained on board a number of its flights (selected) starting today (Dec 13). “We’d like to help people get into the Christmas spirit and also say thanks to all those who have supported us in our first year of operation,” says Chief Commercial Officer Paul Abbot. “Don’t be surprised also if you see some of our very talented flight attendants joining in as part of the fun,” Abbot says.